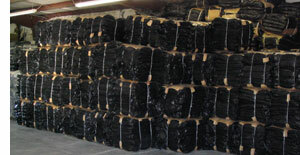 Thanks for checking out our site; we'd love to add you to our list of satisfied customers! 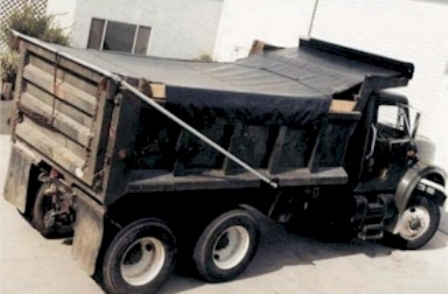 PVC Mesh Tarps can be used as truck tarps, shade tarps, refuse hauling tarps, waste hauling tarps, gravel hauling tarps, sand hauling tarps, tree hauling tarps, landscaping hauling tarps, debris hauling tarps, trash hauling tarps, wood chip hauling tarps, mulch hauling tarps, contractor tarps, throw tarps, commercial tarps, rubbish hauling tarps, rubbish truck tarps, hand tarps, manual tarps, saw mill waste tarps, construction tarps, rail car tarps, dumpster covers, can covers, roll-off tarps, open top trailer tarps, trash trailer tarps, end dump tarps, roll-off tarps, auto tarps, container tarps, debris tarps, yard waste, dirt hauling tarps, and any load needing contained but yet does not need to be protected from the water or environment. 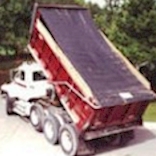 Dump Truck Tarps come in PVC mesh and waterproof PVC vinyl, and can be used as Refuse Hauling Tarps, Waste Hauling Tarps, Gravel Hauling Tarps, Sand Hauling Tarps, Tree Hauling Tarps, Landscaping Hauling Tarps, Debris Hauling Tarps, Trash Hauling Tarps, Wood Chip Hauling Tarps, Mulch Hauling Tarps, Farming Tarps, Trash Trailer Tarps, Open top trailer tarps, front to rear tarps, auto tarps, roll-off tarp, container tarps, end dump tarps, Nursery Tarps, Commercial Tarps, Rubbish Hauling Tarps, Manual Tarps, Saw Mill Waste Tarps, Flip tarps, Arm tarps, Tarping systems, Replacement Flip tarps, Replacement Arm tarps, and Asphalt tarps. Contents of this web site and all original text and images therein are copyright ©2005- by AAATarps. All rights reserved. The material on this site may not be copied, reproduced, downloaded, distributed, transmitted, stored, altered, adapted, or otherwise used in any way without the express written permission of the owner.